From Perth and coming from a rowing background, Griffin Logue is capable of playing multiple positions across the ground. Standing at 193cm, Logue burst onto the scene in 2016, representing WA at the 2016 U18 Championships as a key defender averaging eight disposals and two marks. Starting the year in the Swans Districts colts, Logue averaged 13.9 disposals and progressed to the Swans league side by round six. He played eight impressive games as a key defender, averaging 14.5 disposals and four marks per game. Logue showed his versatility later in the year playing as an inside midfielder in a colts game against West Perth, picking up 33 disposals, 25 contested possessions, five marks (four contested), four tackles and six inside 50s. Logue tested superbly at the AFL National Combine in October, recording a big vertical leap of 71cm, running right foot jump 91cm, 3.03 second 20 metre speed, 15.1 beep test, 9.58 minute 3km run and 25.09 second repeat speed. 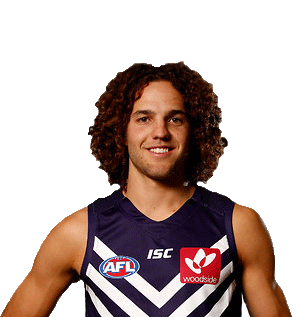 Across the year, Logue showed his marking ability, neat left foot kicking, competiveness and courage in flight. The 19-year-old has tremendous upside to develop into a versatile player at the next level.